A unique and unprecedented look at the making of a low budget independent feature film. 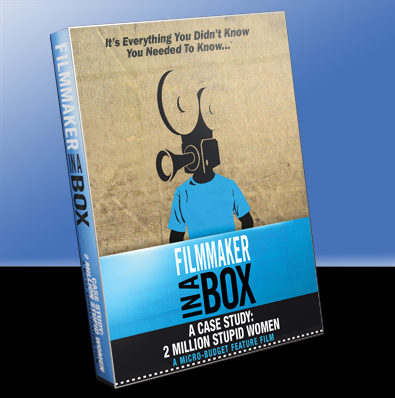 Filmmaker in a Box is a set of 10 DVDs encompassing over 17 and a half hours of documentary material on the making of the $100,000 feature film 2 Million Stupid Women from development through the completion of post. Co-Created by Holben and his producing partner Ryan Harper, Holben designed and structured the content into individual modules to be addressed by the user as needed. With four editors working around the clock, Filmmaker in a Box was released simultaneously with the 2 Million Stupid Women.